Frank has given us Rose as our theme this week. My paternal grandfather loved roses and after he died, his widow’s son ripped them all out. I never went back after that, it was too painful. 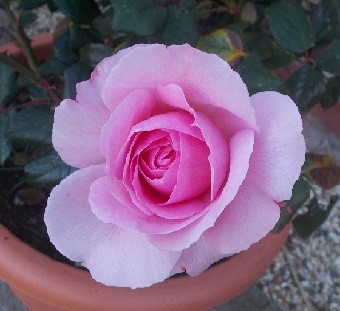 Dad liked roses too, and grew a lilac rose in his front garden, giving cuttings to the family for their own. He gave me a red standard for my first house, but it was vandalised, the culprits taking the entire head of the plant, not leaving so much as a shoot for regrowth. Moving here, boating friends gave us an Ancient Mariner and another couple a red rose in a Loving Memory range when my Mum died last January. 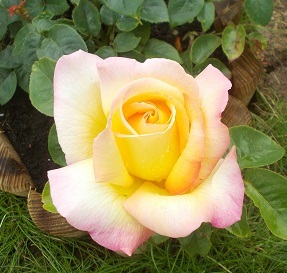 We bought the yellow Peace, and had success with all of them last year. I have never seen such large blooms. Roses to us are a symbol of love. We put two single red roses on my Dad’s casket, 2 on my father in law’s, and four (2 from us and 2 from Bro in NZ) in with Mum when I said my final goodbye last February. The bushes look a little sad and forlorn at the moment, but hopefully will flourish again in the Summer. I’ll be ready with my camera anyway. My dad had roses too. They always seem like the royalty of flowers. I hope this year’s are so beautiful. 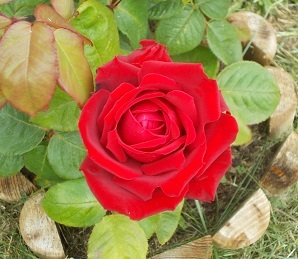 I also love roses. They are my favourite flowers. They are beautiful, and have so many variants of colour. Few flowers can equal them for sheer beauty and fragrance, although some of the new hybrids have lost their perfume somewhat. I think you’re right there………. huge flowers, but no smell. A bond like this is very unusual for me. Heart is getting heavy now!